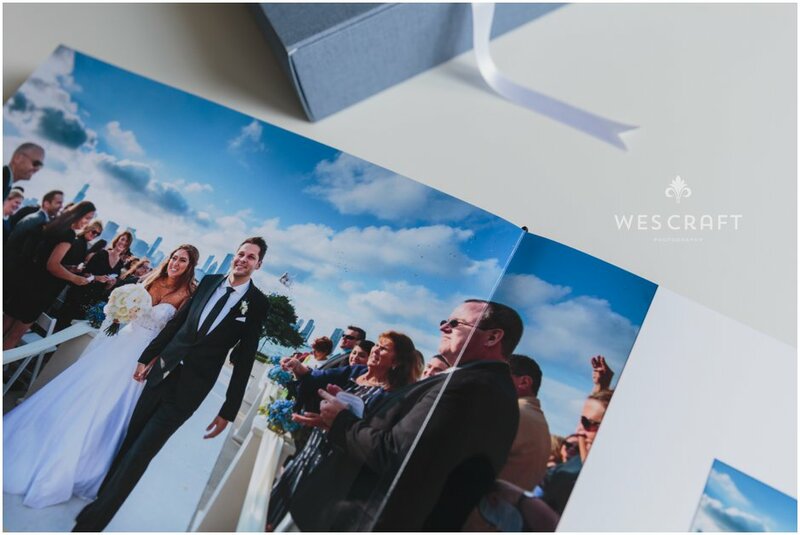 We are so excited to share Shae & Kamil’s 10×14″ Heirloom Wedding Album! 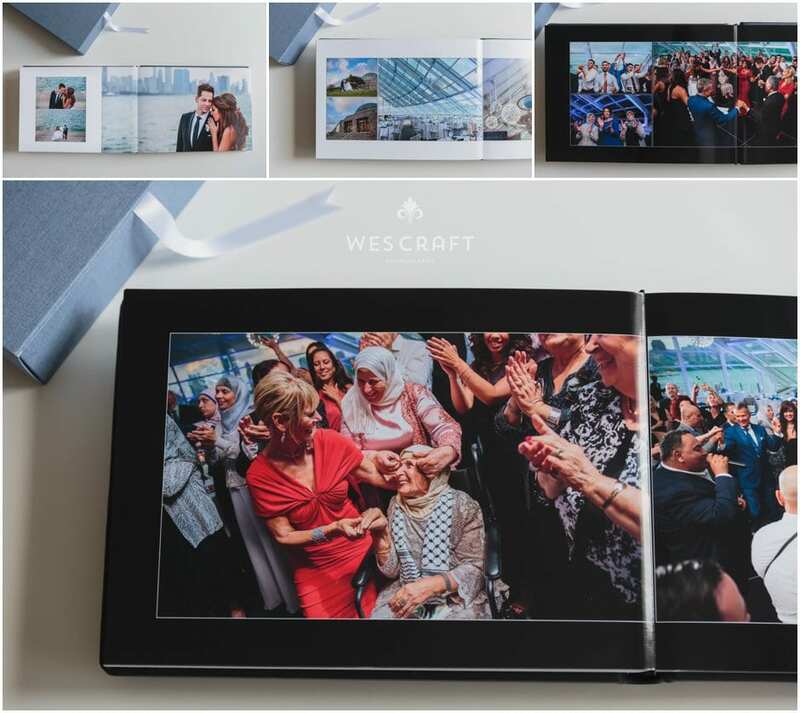 There’s no better way to enjoy wedding photographs in our opinion. Theirs came in a iinen bound gift box. We matched the box to the album’s lining. An acrylic 6×8″ window beautifully showcases this sweet and composed photograph. 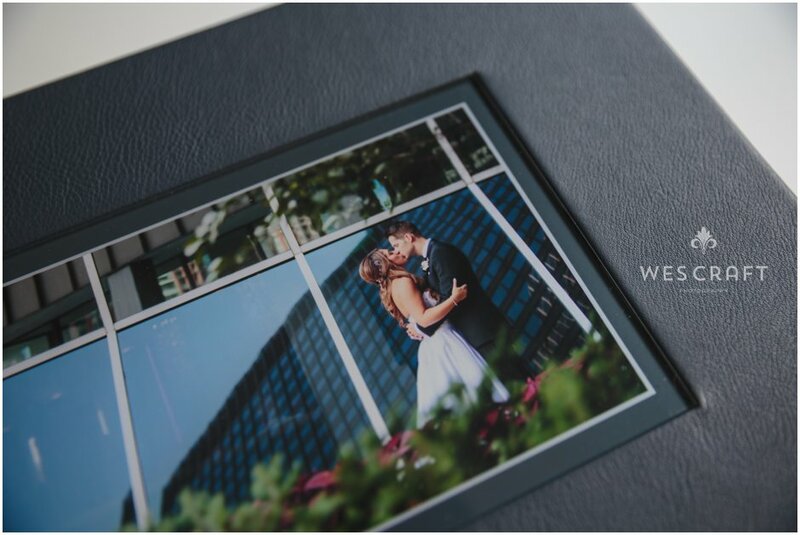 We helped select an Italian distressed leather in Navy to bind their wedding album. 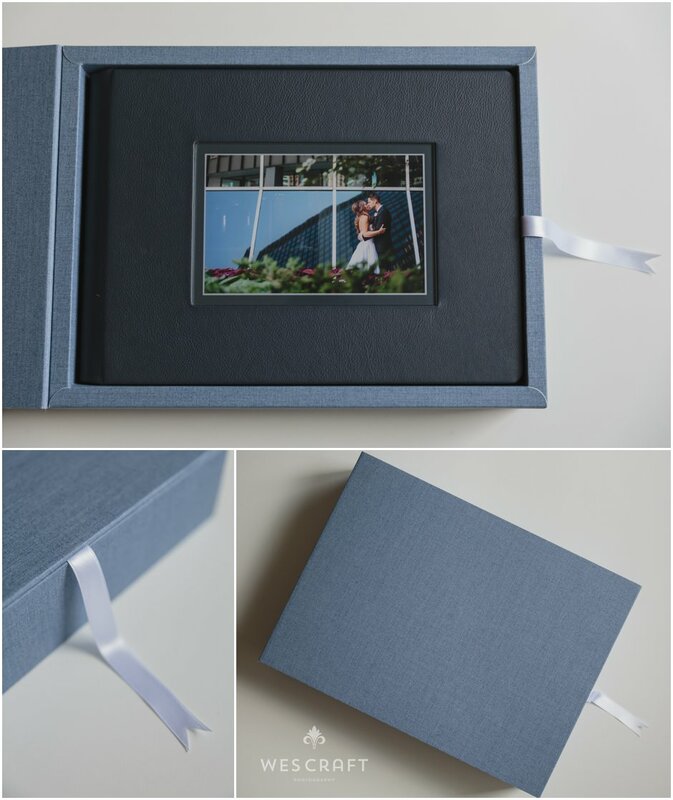 There was a lot of blue in their wedding photo set as you can see. Shae & Kamil added pages to their already included 40. They wanted to showcase all the candids as well as all their favorite portraits. 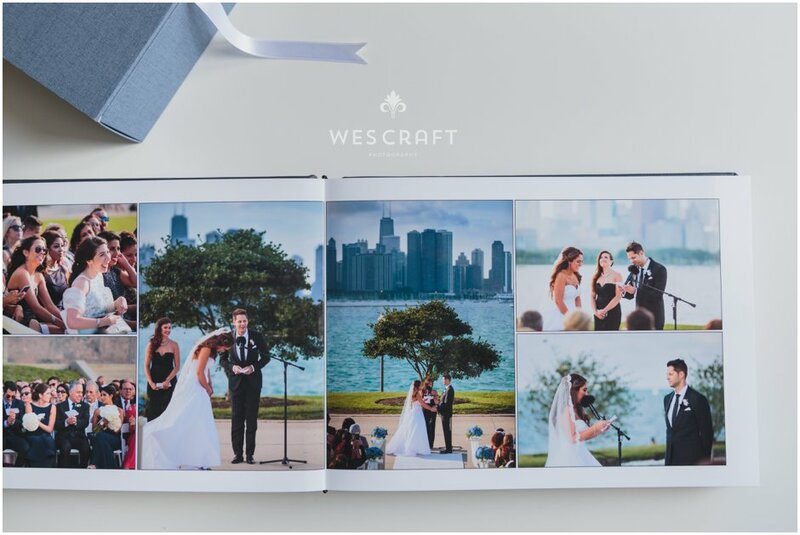 The wedding ceremony was held at Chicago’s Adler Planetarium. Between the blue water, sky, and the blue suits, there was a lot of Blue. 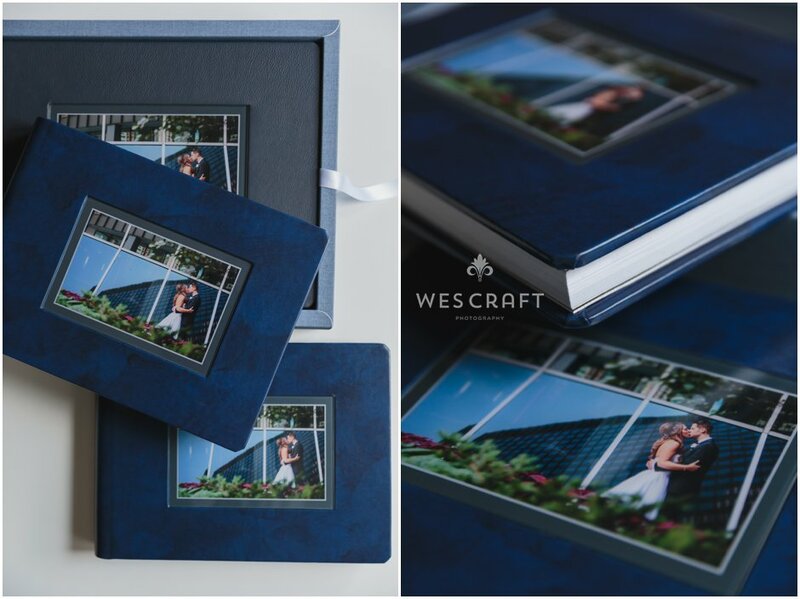 Of course we chose a deep blue for the album’s binding. This was one of my favorite photographs from the day! I’m glad it made it into the album. Kamil’s mom shared a moment with Shae’s grandma. 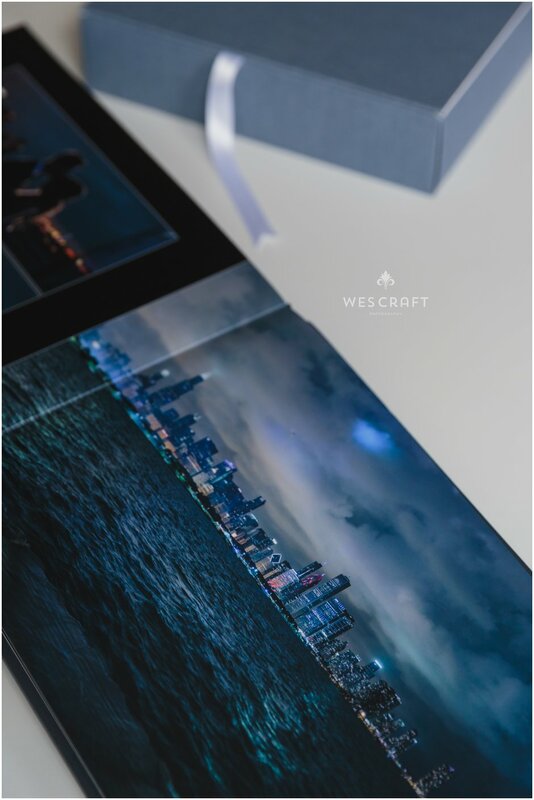 The final spread featured this stunning night cityscape photo that Wes made from the Adler Planetarium at the end of the wedding. 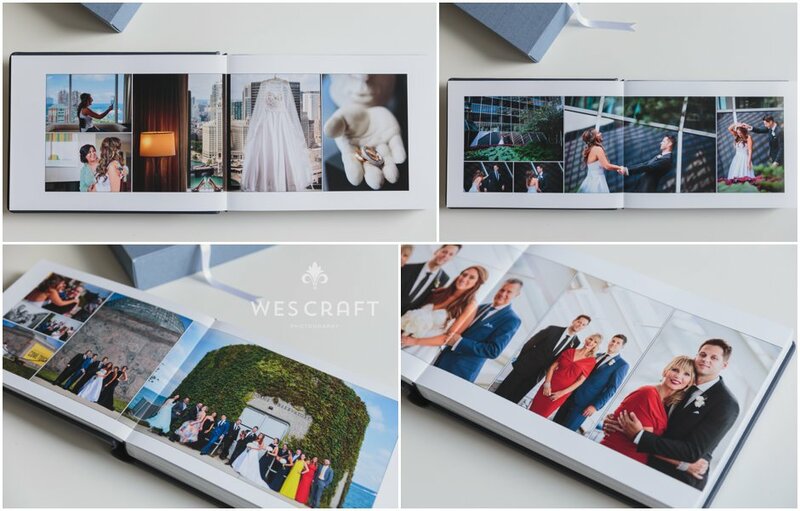 Kamil and Shae ordered two 8×12″ copies of their wedding album as a gift for their parents!